Dentist | Old Morris Tobacconist Victoria BC, Fine Cigars, Humidores and Tobacco Merchantile. 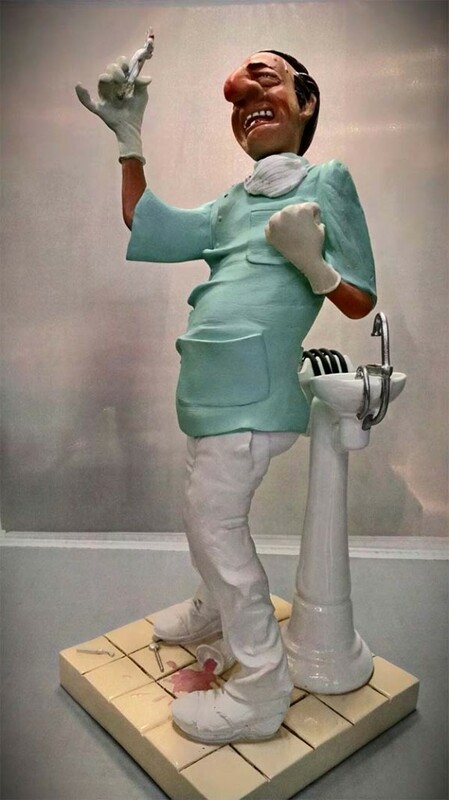 Nobody likes going to the dentist, and if you ask Guillermo Forchino, that includes dentists themselves. This pain-stricken professional is in serious anguish over pulling a tooth (his own?). Overcome with grief, he seems to have spilled the fluoride too!